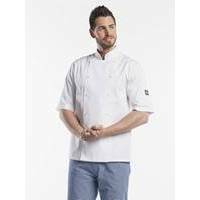 The Chaud Devant Hilton Poco White Short Sleeve is part of our BSX collection and is also a genuine �basic� chef jacket. 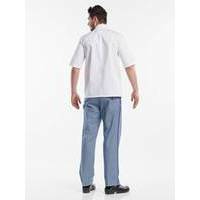 The model is traditional and recognisable but naturally has a modern twist. The fabric is practical and feels great. The short-sleeved model of the Chaud Devant Hilton Poco is a fantastic summer version of this excellent all-rounder.